Many individuals, businesses and organizations are involved in moving the industrial hemp industry forward. One highly effective and influential organization is based in our home state of Colorado. 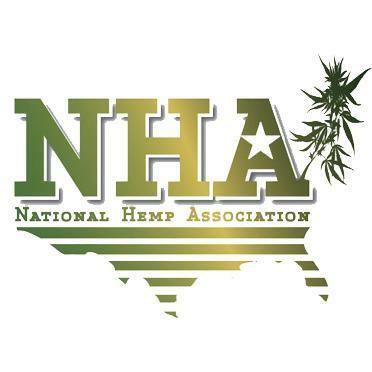 We’d like to introduce you to the National Hemp Association (NHA), a nonprofit corporation created to encourage trade and communication among hemp professionals. Working collaboratively with industry, government officials and the scientific community to create and implement standards, certifications and regulations for industrial hemp. The NHA works to shift the perception of hemp as an alternative crop to that of a mainstream commodity. The organization points to a trend in American industry towards bio-sustainability and how hemp plays a critical role in the establishment of a new economic paradigm—one that creates a direct relationship between products and stewardship of the land. These tenets are at the foundation of the organization’s dedication to the development of the domestic industrial hemp industry. In pursuit of this objective, NHA coordinates works with local and state government agencies to coordinate legislation and establish regulations that benefit the hemp industry nationwide. NHA also interfaces with and facilitates communication between agricultural organizations, farmers, processors, manufacturers and retailers, many of whom are business members of the NHA. The organization provides expertise in all areas of the diverse hemp industry from farming to processing to laws and regulations. By partnering with businesses and other organizations, they also help match raw material providers with manufacturers and producers of hemp products. Visit the National Hemp Association’s website for a wealth of information about industrial hemp. Or sign up for NHA’s newsletter to stay up to date on all things hemp! Just found your sight, looking forward to learning the latest products, + updates.